This week I received a notice from https://haveibeenpwned.com/ suggesting that my user account from last.fm had been compromised. In this case, the breach was fairly significant, according to Have I Been Pwned, indicating that mail addresses, passwords, usernames, and website activity were among the compromised data. Wow. Last.fm. I hadn’t even thought of that service in years. A quick check at Wikipedia shows they are still in business, but I had forgotten about last.fm, probably because SomaFM.com and Pandora had garnered my music listening attention. 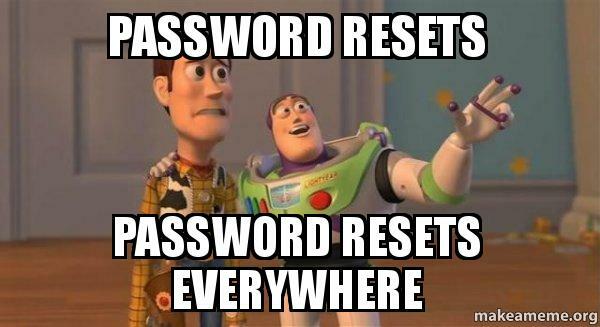 I looked in my password vault to see what my password was. I found there was no entry for last.fm. This is especially troubling, since there is a possibility that the password I used for last.fm is used elsewhere (more on that in a minute). I still have one more password vault to check, but I don’t have physical access to that until tomorrow. Hopefully I’ll find an entry. In any event, I’ve changed my password at last.fm. But not knowing what my prior password was is going to gnaw at me for a while. Occurrences like this are another reason why we should all use unique, hard to guess passwords for each web site. Then, if any web site is compromised and that compromise reveals your password, then you can be confident that no other web sites are affected. This entry was posted in breach, identity theft and tagged passwords on September 21, 2016 by peterhgregory. Several years ago, VISA announced a “liability shift” wherein merchants would be directly liable for credit card fraud on magstripe card transactions. The deadline for this came and went in October, 2015, and many merchants still didn’t have chip reader terminals. But to be fair to retailers, most of the credit/debit cards in my wallet are magstripe only, so it’s not ONLY retailers who are dragging their feet. My employment and consulting background over the past dozen years revealed plainly to me that retail organizations want to have as little to do with security as possible. Many, in fact, even resist being compliant with required standards like PCI DSS. For any of you who are unfamiliar with security and compliance, in our industry, it is well understood that compliance does not equal security – not even close to it. I saw an article today, which says it all. A key statement read, “There is a report that over the holidays several retailers disabled the EMV (Chip and Pin) functionality of their card readers. The reason for this? They did not want to deal with the extra time it takes for a transaction. With a standard card swipe (mag-swipe) you are ready to put in your pin and pay in about three seconds. With EMV this is extended to roughly 10 seconds.” Based on my personal and professional experience with several retail organizations, I am not surprised by this. Most retailers just don’t want to have to do security at all. You, shoppers, are the ones who pay the price for it. This entry was posted in breach, data loss, identity theft, Opinion and tagged breach, EMV, merchant, retail, security+ on December 29, 2015 by peterhgregory. Every week we read the news about new, spectacular security breaches. This has been going on for years, and sometimes I wonder if there are any organizations left that have not been breached. Why are breaches occurring at such a clip? Through decades of experience in IT and data security, I believe I have at least a part of the answer. But first, I want to shift our focus to a different discipline, that of civil engineering. Civil engineers design and build bridges, buildings, tunnels, and dams, as well as many other things. Civil engineers who design these and other structures have college degrees, and they have a license called a Professional Engineer. In their design work, they carefully examine every component and calculate the forces that will act upon it, and size it accordingly to withstand expected forces, with a generous margin for error, to cover unexpected circumstances. Their designs undergo reviews before their plans can be called complete. Inspectors carefully examine and approve plans, and they examine every phase of site preparation and construction. The finished product is inspected before it may be used. Any defects found along the way, from drawings to final inspection, results in a halt in the project and changes in design or implementation. The result: remarkably reliable and long-lasting structures that, when maintained properly, provide decades of dependable use. This practice has been in use for a century or two and has held up under scrutiny. We rarely hear of failures of bridges, dams, and so on, because the system of qualifying and licensing designers and builders, as well as design and construction inspections works. It’s about quality and reliability, and it shows. Information technology is not anything like civil engineering. Very few organizations employ formal design with design review, nor inspections of components as development of networks, systems, and applications. The result: systems that lack proper functionality, resilience, and security. I will explore this further. When organizations embark to implement new IT systems – whether networks, operating systems, database management systems, or applications – they do so with little formality of design, and rarely with any level of design or implementation review. The result is “brittle” IT systems that barely work. In over thirty years of IT, this is the norm that I have observed in over a dozen organizations in several industries, including banking and financial services. In case you think I’m pontificating from my ivory tower, I’m among the guilty here. Most of my IT career has been in organizations with some ITIL processes like change management, but utterly lacking in the level of engineering rigor seen in civil engineering and other engineering disciplines. Is it any wonder, then, when we hear news of IT project failures and breaches? Some of you will argue that IT does not require the same level of discipline as civil or aeronautical engineering, mostly because lives are not directly on the line as they are with bridges and airplanes. Fine. But, be prepared to accept losses in productivity due to code defects and unscheduled downtime, and security breaches. If security and reliability are not a part of the design, then the resulting product will be secure and reliable by accident, but not purposely. This entry was posted in breach, incidents, Opinion on December 2, 2015 by peterhgregory. As of Tuesday, September 2, 2014, Home Depot was the latest merchant to announce a potential security breach. Any more, this means intruders have stolen credit card numbers from its POS (point of sale) systems. The details have yet to be revealed. If there is any silver lining for Home Depot, it’s the likelihood that another large merchant will probably soon announce its own breach. But one thing that’s going to be interesting with Home Depot is how they handle the breach, and whether their CEO, CIO, and CISO/CSO (if they have a CISO/CSO) manage to keep their jobs. Recall that Target’s CEO and CIO lost their jobs over the late 2013 Target breach. Merchants are in trouble. Aging technologies, some related to the continued use of magnetic stripe credit cards, are making it easier for intruders to steal credit card numbers from merchant POS systems. Chip-and-PIN cards are coming (they’ve been in Europe for years), but they will not make breaches like this a thing of the past; rather, organized criminal organizations, which have made a lot of money from recent break-ins, are developing more advanced technologies like the memory scraping malware that was allegedly used in the Target breach. You can be sure that there will be further improvements on the part of criminal organizations and their advanced malware. A promising development is the practice of encrypting card numbers in the hardware of the card reader, instead of in the POS system software. But even this is not wholly secure: companies that manufacture this hardware will themselves be attacked, in the hopes that intruders will be able to steal the secrets of this encryption and exploit it. In case this sounds like science fiction, remember the RSA breach that was very similar. This entry was posted in breach, data loss, Encryption, incidents, Opinion and tagged Home Depot, security breach, Target on September 3, 2014 by peterhgregory. Why wait for a security breach to improve security? Neiman Marcus was informed by our credit card processor in mid-December of potentially unauthorised payment card activity that occurred following customer purchases at our Neiman Marcus Group stores. We informed federal law enforcement agencies and are working actively with the U.S. Secret Service, the payment brands, our credit card processor, a leading investigations, intelligence and risk management firm, and a leading forensic firm to investigate the situation. On January 1st, the forensics firm discovered evidence that the company was the victim of a criminal cyber-security intrusion and that some customers’ cards were possibly compromised as a result. We have begun to contain the intrusion and have taken significant steps to further enhance information security. The security of our customers’ information is always a priority and we sincerely regret any inconvenience. We are taking steps, where possible, to notify customers whose cards we know were used fraudulently after making a purchase at our store. We have … taken significant steps to further enhance information security. Why do companies wait for a disaster to occur before making improvements that could have prevented the incident – saving the organization and its customers untold hours of lost productivity? Had Neiman Marcus taken these steps earlier, the breach might not have occurred. Or so we think. Why do organizations wait until a security incident occurs before taking more aggressive steps to protect information? They don’t think it will happen to them. Often, an organization eyes a peer that suffered a breach and thinks, their security and operations are sloppy and they had it coming. But alas, those in an organization who think their security and operations are not sloppy are probably not familiar with their security and operations. In most organizations, security and systems are just barely good enough to get by. That’s human nature. We’ll fix things later. Sure – only if someone is holding it over your head (like a payment processor pushing a merchant or service provider towards PCI compliance). That particular form of “later” never comes. Kicking the can down the road doesn’t solve the problem. It is human nature to believe that another’s misfortunes can’t happen to us. Until it does. This entry was posted in breach, incidents, News, Opinion, Risks and tagged Neiman Marcus, Neiman Marcus breach on January 13, 2014 by peterhgregory.